A few things have been making me really angry and upset lately. As usual, to do with such a large percentage of people's opinions on mental health and the stigma that is STILL attached to it. I know things are much more readily talked about and acknowledged these days; we aren't just thrown into asylums or hidden away because of "nervous breakdowns", but far out, there is still so much education that needs to happen and even the smallest amount of empathy from some people would be nice. 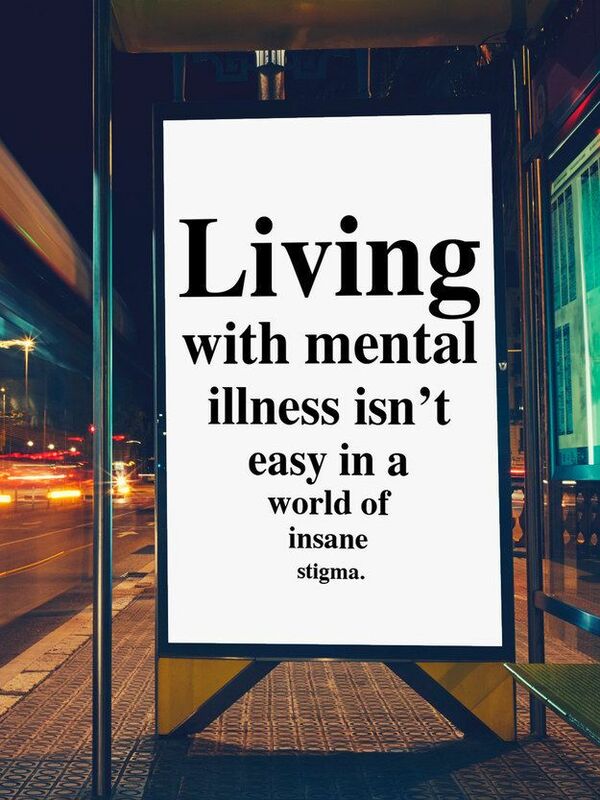 A number of people have said to me that "mental health issues seem to be a fad - everyone has something wrong with them just to fit in". Needless to say, that comment did not go down well with me. "People are just looking for attention" - once again, this makes me incredibly angry, and even if this WAS the case with some people, that's still a cry for help. People need to be taken seriously. People need to feel supported and loved, not judged. These comments just fly around from so many people, often without realising how damaging they can be. One of my favourite bands is Linkin Park. They were the soundtrack to my angsty, emotional, hormonal teenage years and my best friend and I listened to them on repeat for years. Their lead singer, Chester Bennington, committed suicide last week. It broke my heart and once again set in stone the suffering that is so prominent among people from all walks of life. It's not fun to struggle. It's not something people choose. It's not rational; and people who are lucky enough not to struggle often just don't understand. The very least they can do, in my opinion, is try. I'm going to write some examples of things that affect me every single day. Some anxiety related, some depression related, with a bit of obsessive compulsive disorder thrown in. I realise that some seem absolutely ridiculous, but it is my reality. - I have to get up no later than 6:15am to have a shower because if I don't, my whole day will be ruined. - I have to sit with Isaac in the rocking chair for 133 seconds before I put him in his cot or he won't nap/sleep. - I have to vacuum the whole lounge room/kitchen if I see one crumb somewhere. - I cannot sit down to have a coffee/food when Isaac sleeps if there are toys/books on the floor and not put away. - I hate myself sometimes because at the moment, I dread the days I'm not at work and will then feel endless guilt about it because I struggle to keep Isaac entertained and happy all day. - I hate that I need so much help with Isaac otherwise I feel so incredibly overwhelmed and unable to cope. (My Mum usually has Isaac one night a week so I don't go completely insane - something else I feel guilty about as she works so hard and does so much for everyone). - I have to kiss Reid goodbye/goodnight three times or something terrible will happen. - I am constantly terrified that I have somehow psychologically scarred Isaac after those first awful few months living in a constant state of despair and barely wanting to be in the same room as my precious baby. - How am I going to deal with a teenager? - My heart wants another baby but my head tells me I am completely crazy for ever entertaining that idea. - I am constantly embarrassed by my physical appearance and my inability to lose weight right now. - I am so tired. I shouldn't be this tired. Mums should just be able to "get on with it". - It's my fault that Isaac won't sleep. He is feeling my constant anxiety and that's why he is unsettled. - I feel homesick for the Mother Baby Unit. What sort of person feels like that about a hospital? - What if I should never have become a mother? Isaac deserves so much better. - I'm a terrible wife. I snap at Reid and my anxiety explodes when he gets home from work and I can't hold it in any longer. - How do all these other Mums do it? Why do they want more kids? How do they cope with more kids? What is a good age gap? This is literally just a snapshot. It is so freaking exhausting. Constantly trying to fight horrible, negative thoughts. These are mild compared to a lot of people - but it is a fight, every single day. There is no way people who aren't medical professionals can say whether or not someone needs help. Whether or not they are "faking it". That they need to "toughen up". I wish I had a dollar for every time someone in my life called me a sook. It breaks my heart that these things aren't taken seriously. People are KILLING themselves because they can't cope. Is that what it takes for them to be taken seriously? When it's finally too late? Maybe we should think about our responses to the "crazy" people. Maybe we should ask the people we love if they are OK or if they are struggling. Maybe we should shed these incredibly outdated views and accept that we live in a society that is hurting. There is so much pressure coming from so many different places, nothing about life is simple. Even people who don't necessarily struggle with mental health issues have bad days - they're not faking it. They aren't seeking attention. Life is really hard sometimes, often it is hard all the time. The world is in desperate need of more love and compassion. The least we can do is talk about how we feel without fear of being constantly judged. You never know, maybe one day you will need help and will be grateful that someone reaches out and asks if you are OK. It means a lot, is never taken for granted and is something we should be doing more often. I definitely don't talk about my struggles because it is a "fad". This is my life. This is anxiety and postnatal depression. This is real and raw and it hurts a lot and I am grateful for every good day that I have. This is mental illness, and this is not a choice.